For years, Ireland has had a barbaric law against abortions and forbids women from accessing the procedure within the country. Irish women often have to travel to England to get legal access to pregnancy termination and proper medical care, as they are met with scrutiny and stigma in their own country. To speak out against the prohibitory abortion law, and to share the stories of the thousands of women who have to leave the country for medical care, the online campaign, X-ile Project was launched. 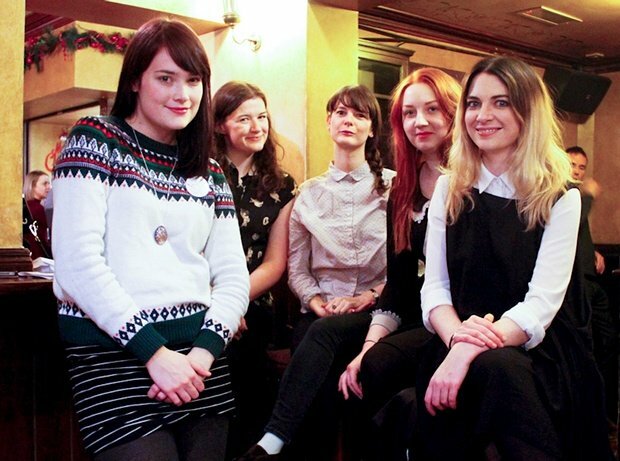 The X-ile Project was started by five Irish women - Julie Morrissy, Ruth Morrissy, Paula Cullen, Laura Lovejoy and Katie O’Neill - who wanted to speak up for the women who were effectively "exiled" from Ireland due to the abortion law. The X-ile project collects pictures and names of women and transgender men and shares it on their website to reinforce the idea that there is nothing to hide, and they have done nothing wrong. Pro-choice to the core, the X-ile Project aims to demolish the stigma and social negativity women face if they need or have had an abortion. The project is working towards eventually abolishing the restrictive law and helping women get access to safe and legal medical procedures to terminate a pregnancy. It is, after all, about choice and a country is not entirely free if half the population is being isolated and stigmatized for an archaic law like this one. Learn more about the project here .